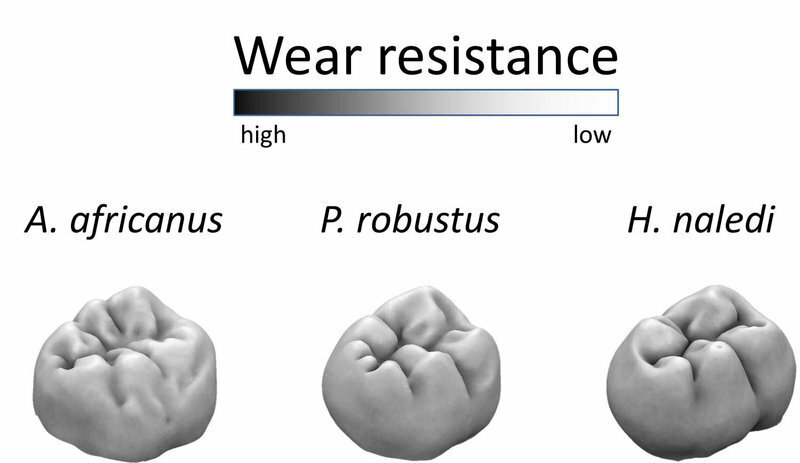 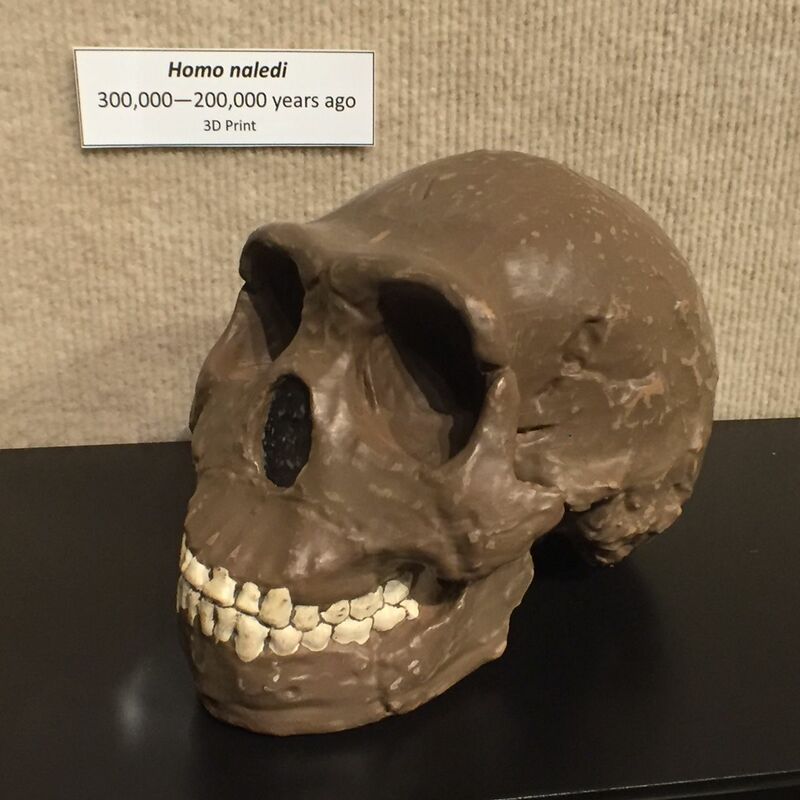 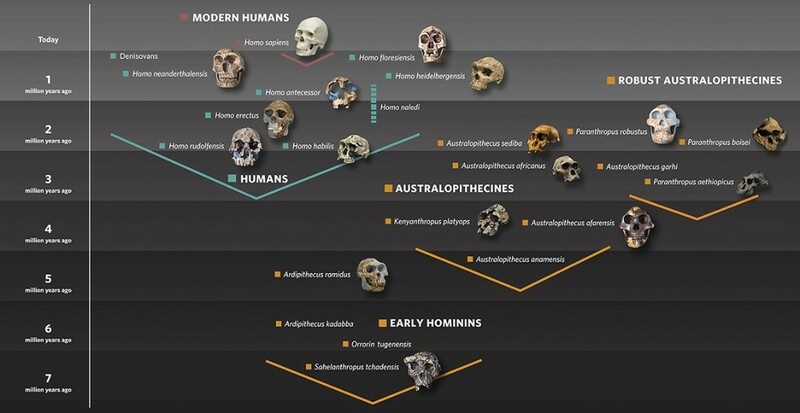 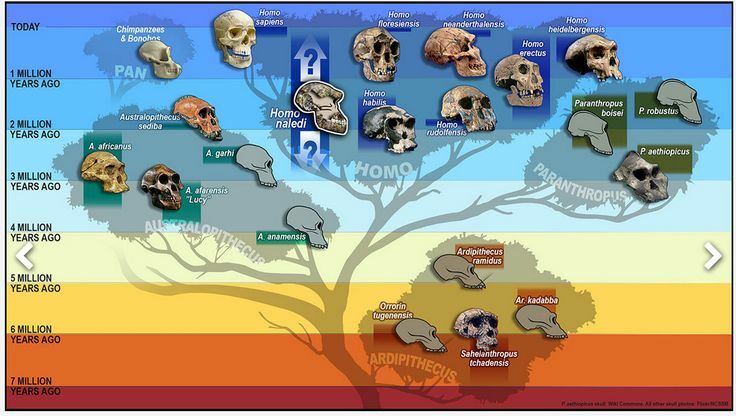 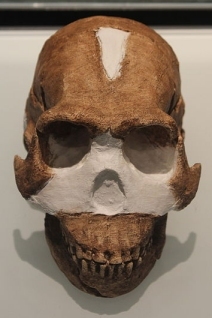 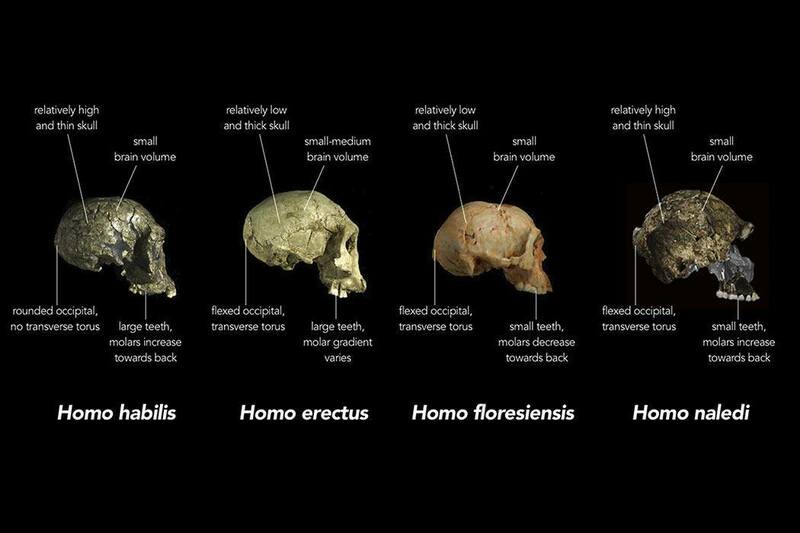 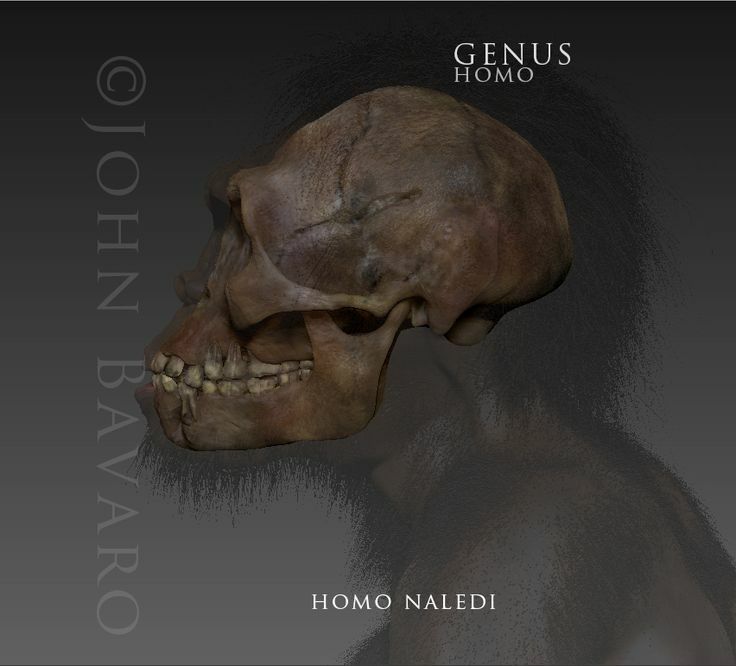 Comparison of skull features of Homo naledi and other early human species. 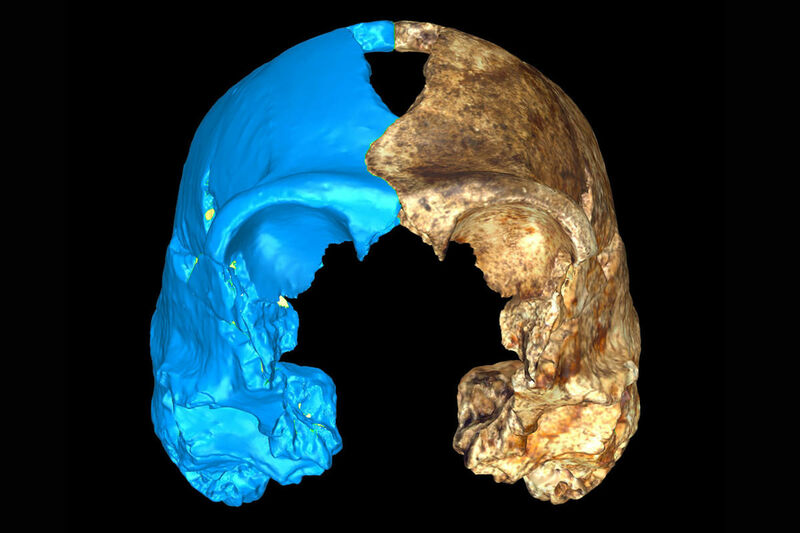 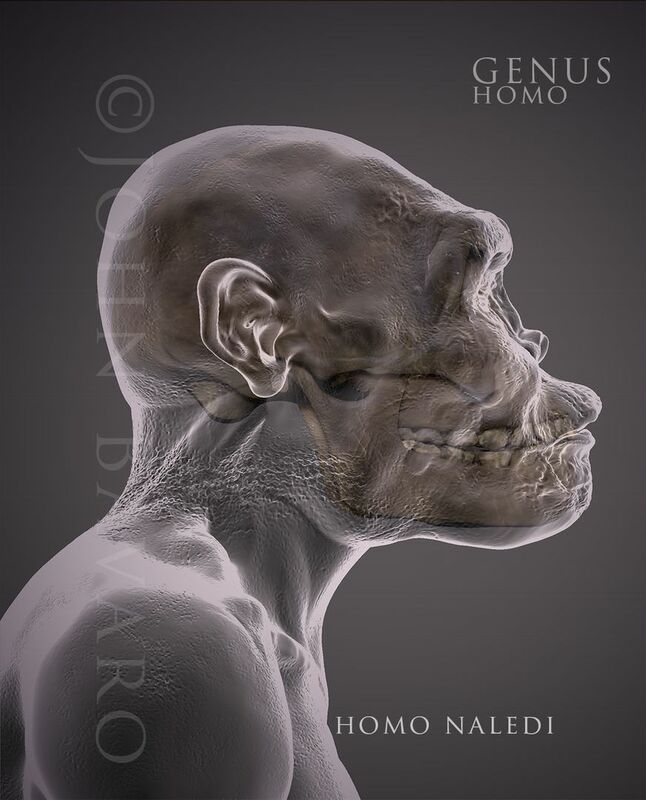 Face view of Homo naledi skull with virtual reconstruction in blue. 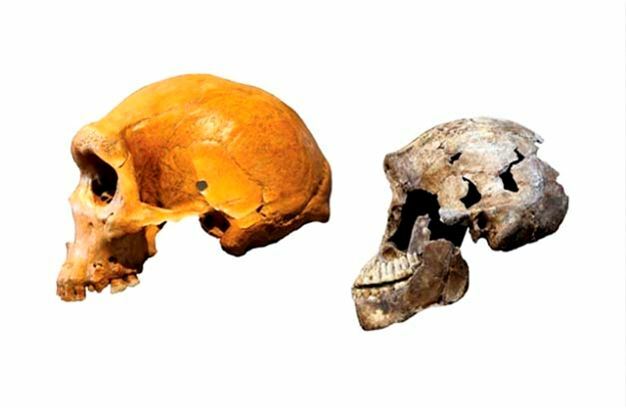 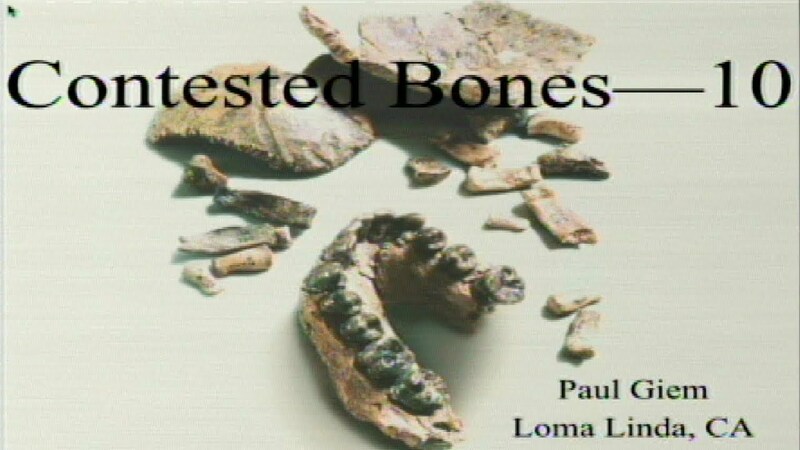 Dr. Peter Schmid (R) from the University of Zurich prepares "Neo"
Emerging ancestors: 'The Hobbit' Homo floresiensis, left, and Homo naledi. 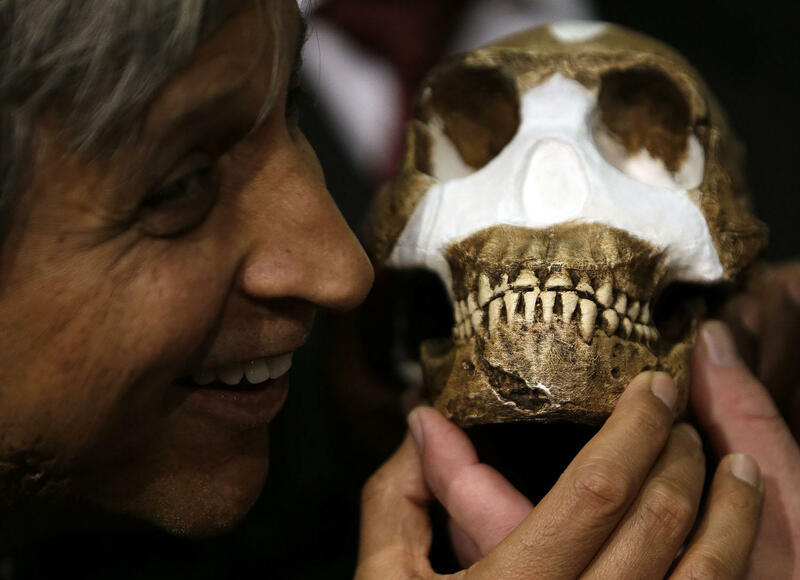 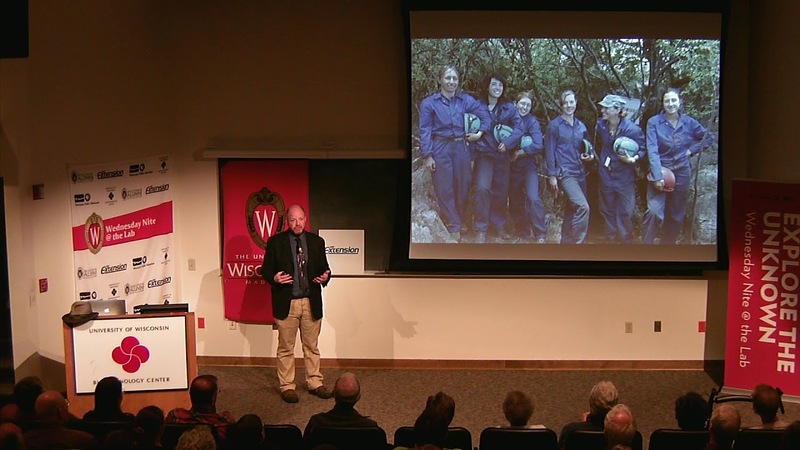 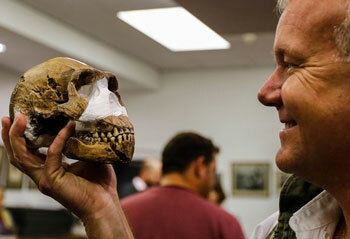 Professor Lee Berger poses with a Homo naledi skull. 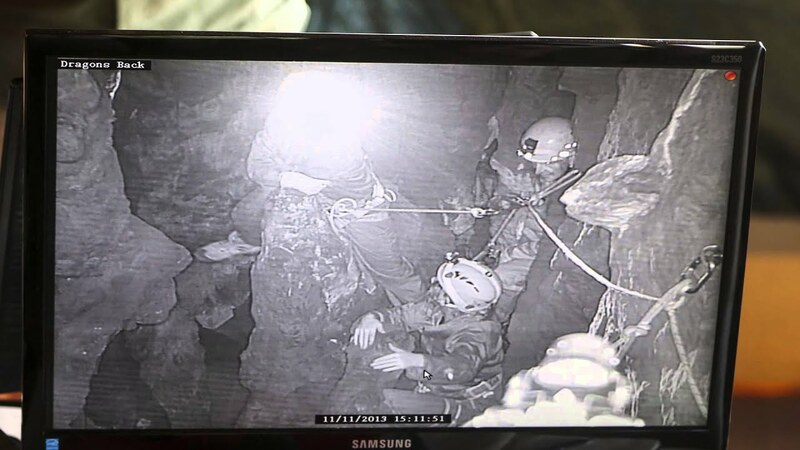 "Underground astronauts" Marina Elliott and Becca Peixotto work inside the cave where fossils. 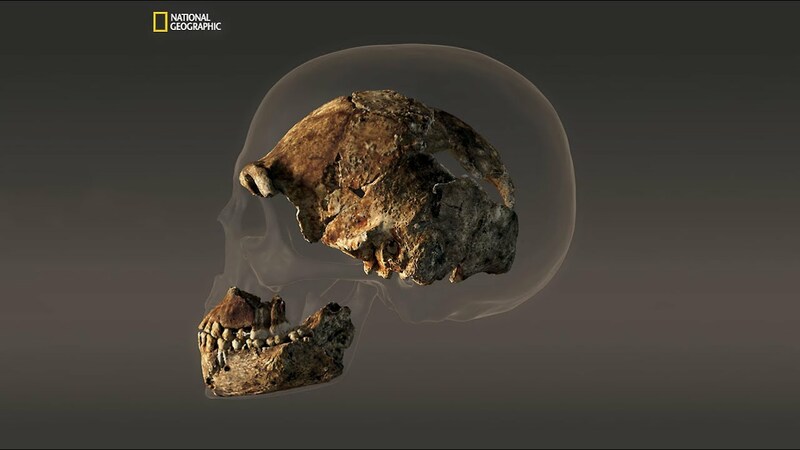 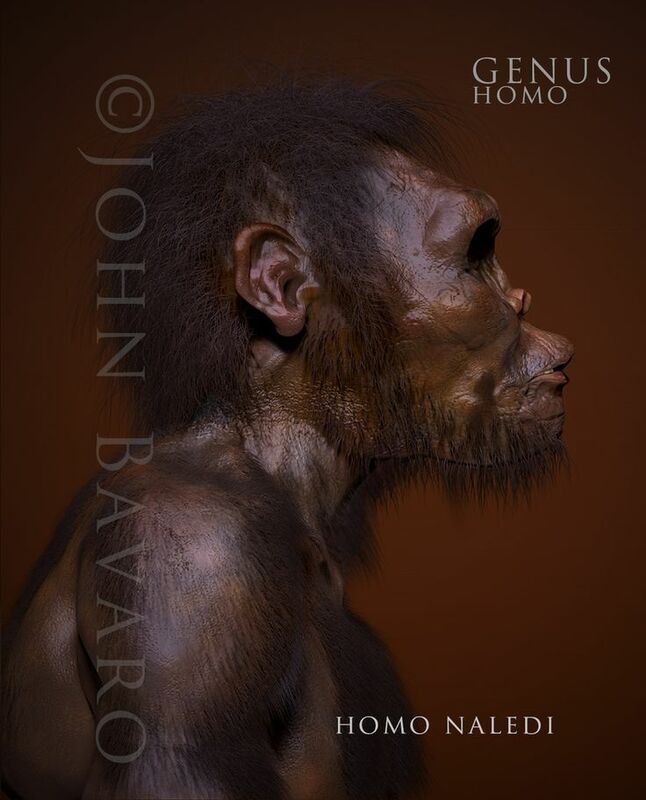 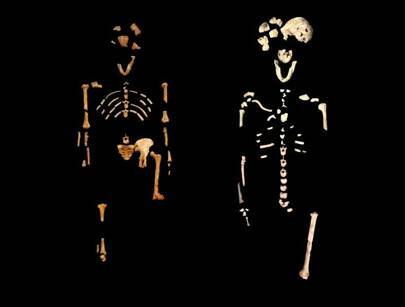 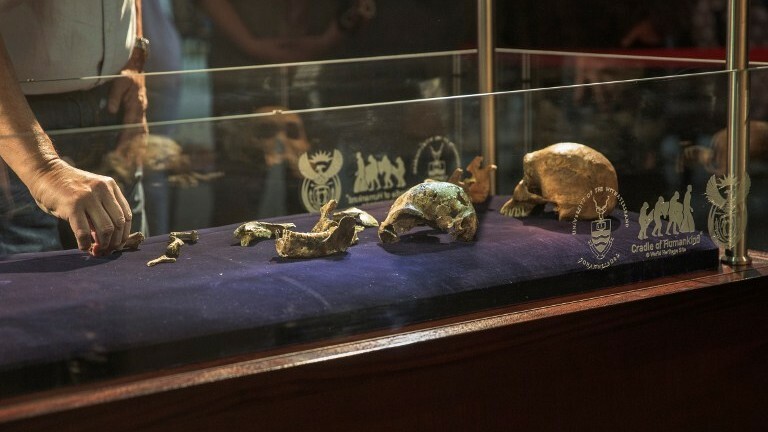 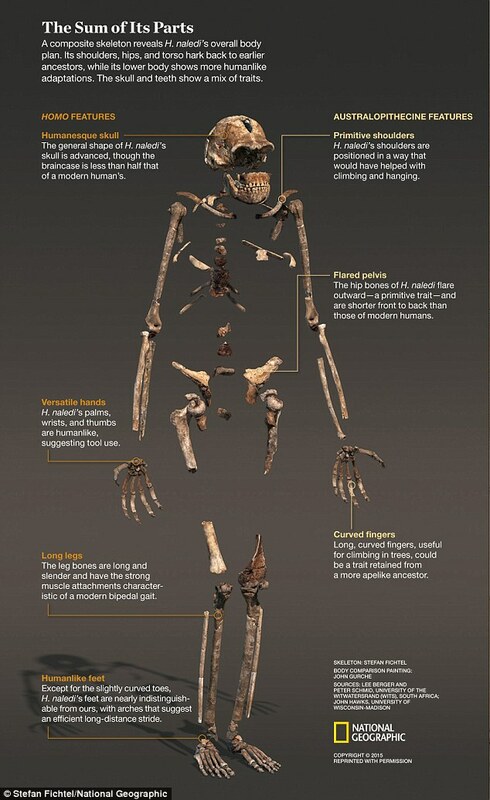 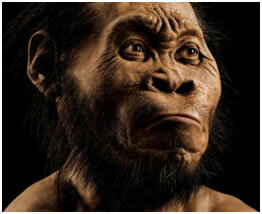 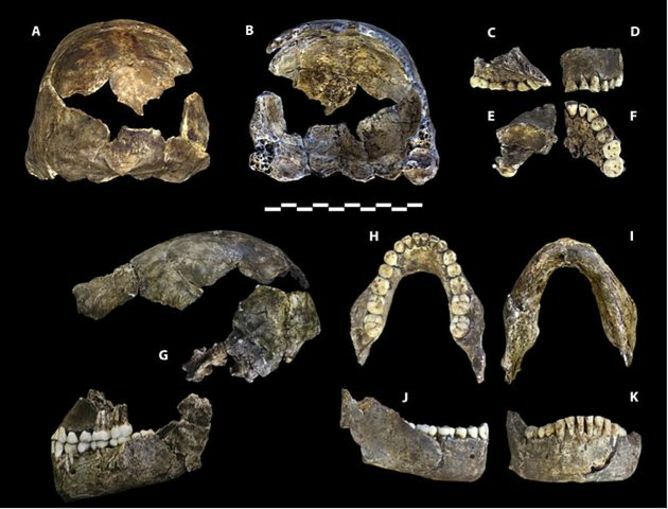 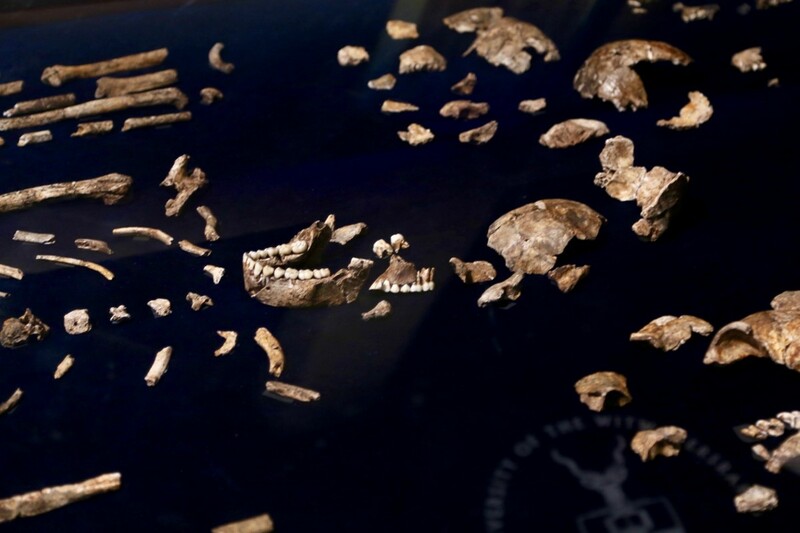 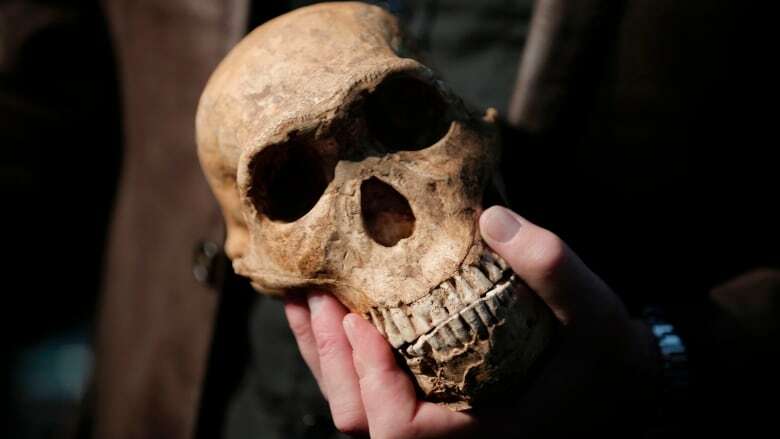 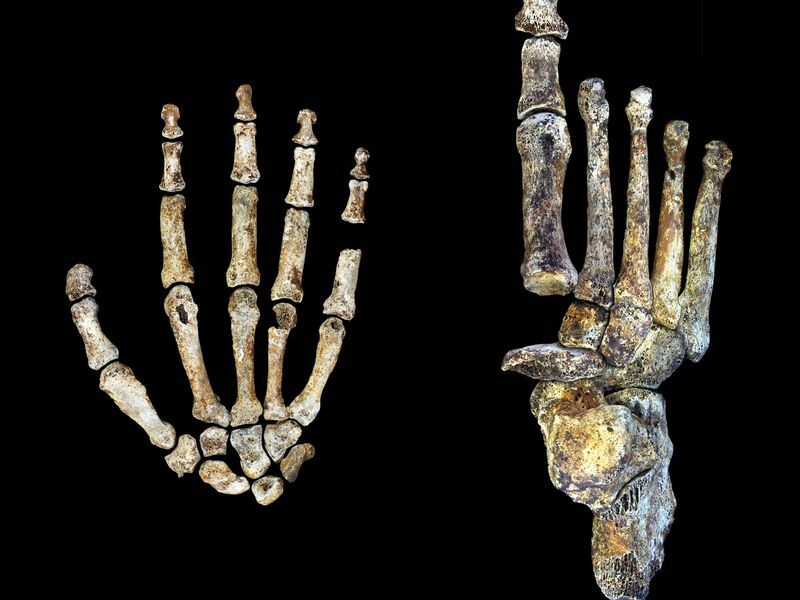 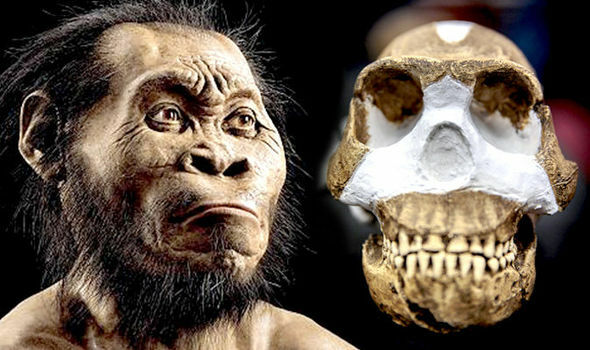 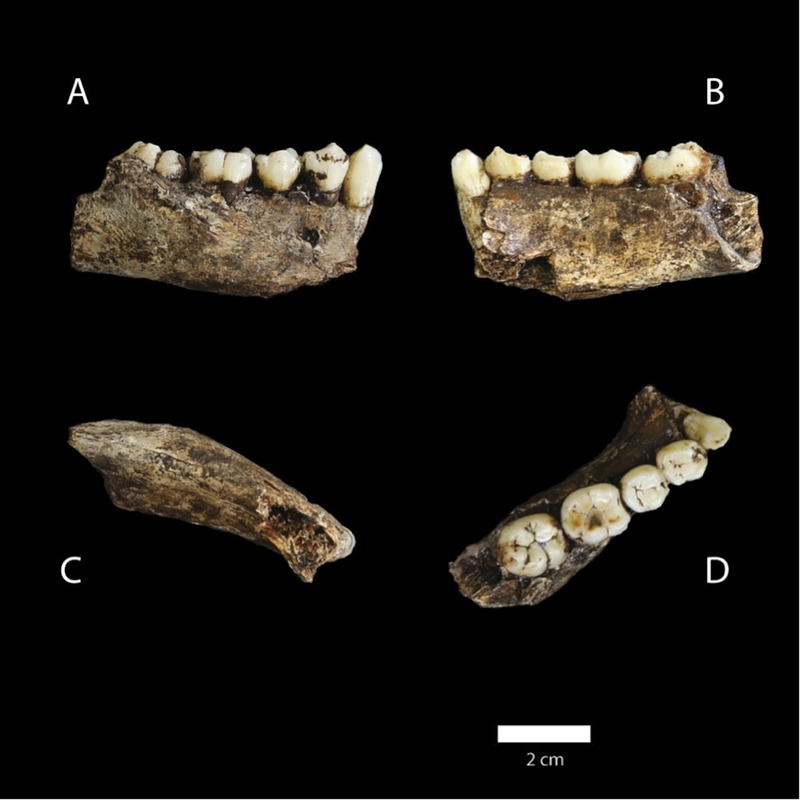 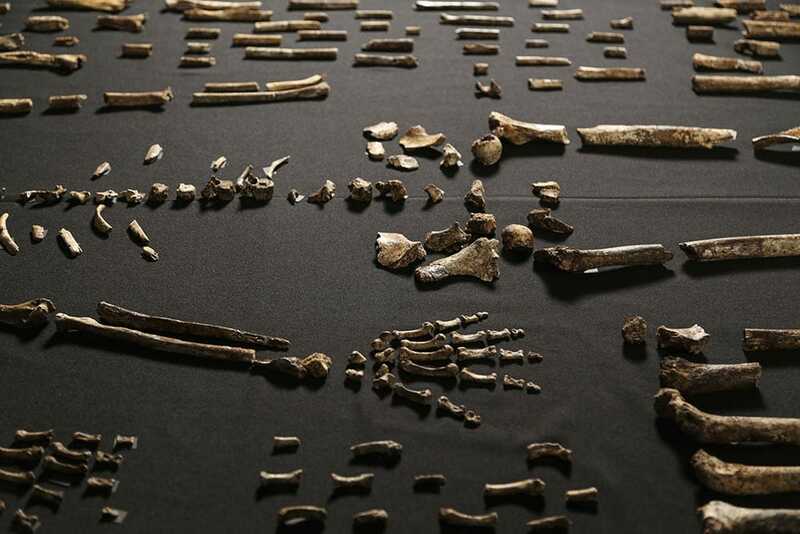 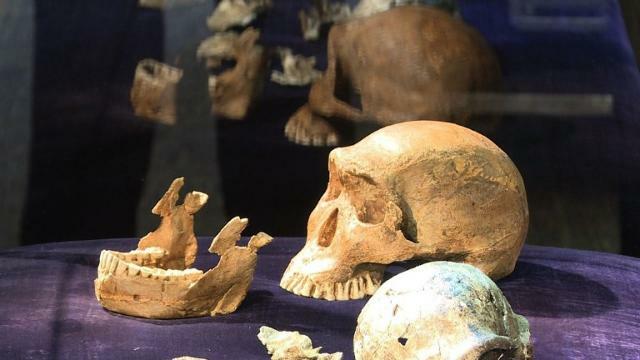 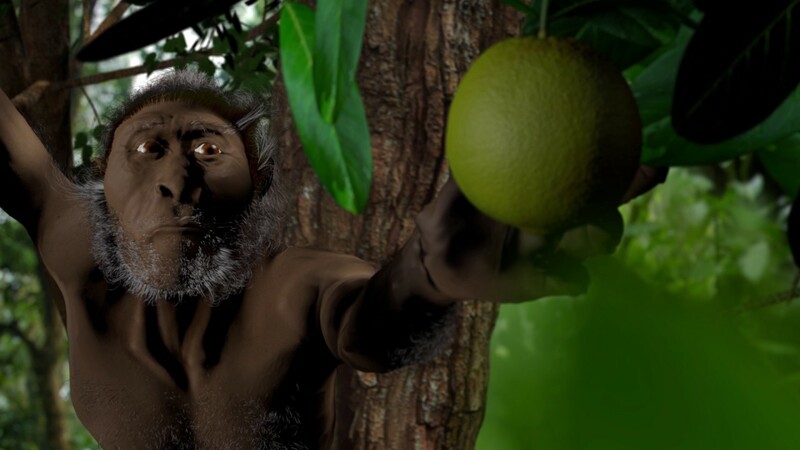 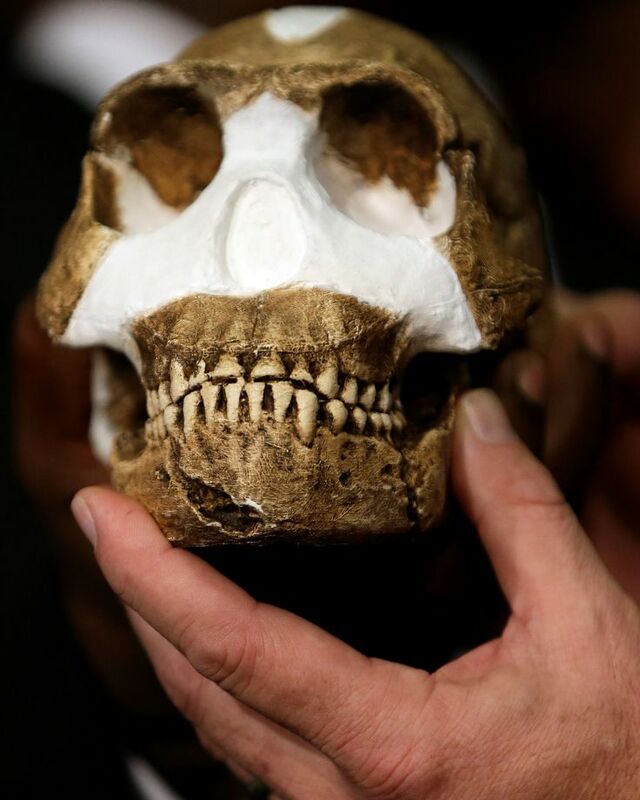 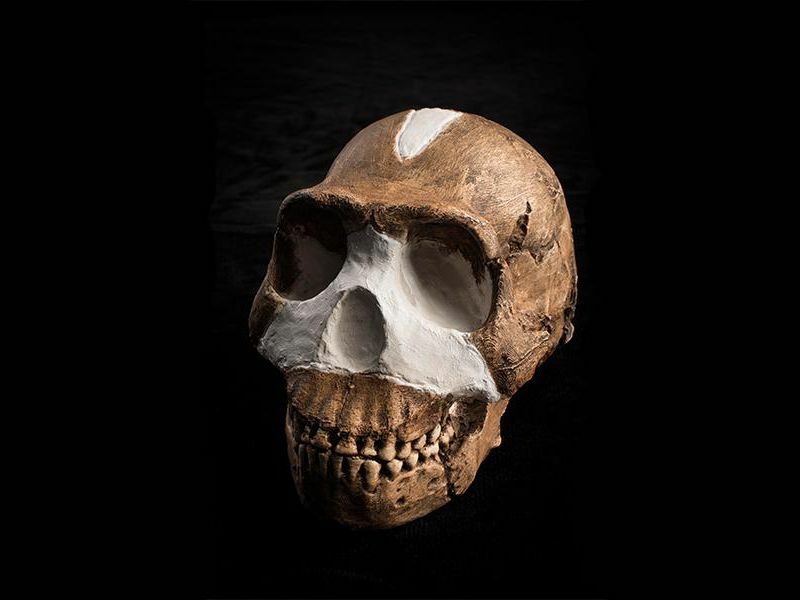 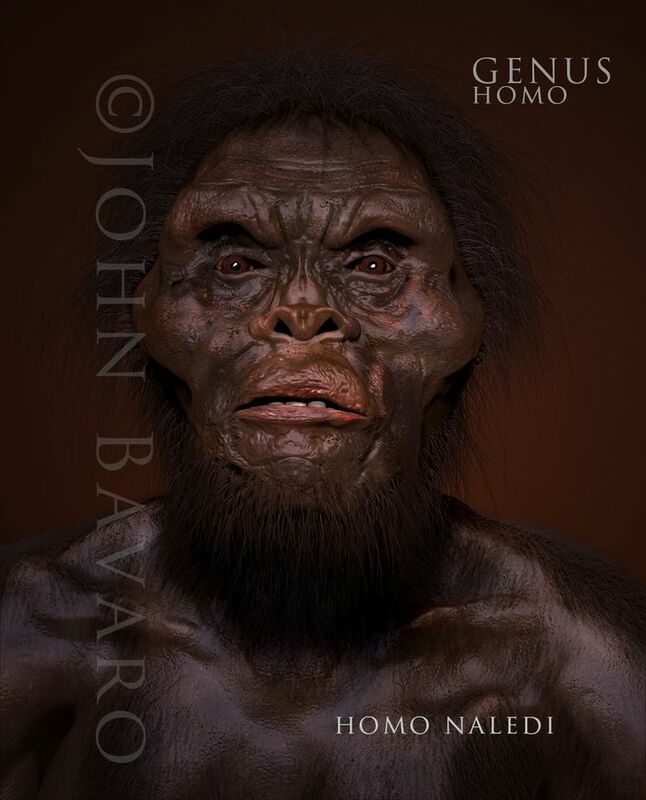 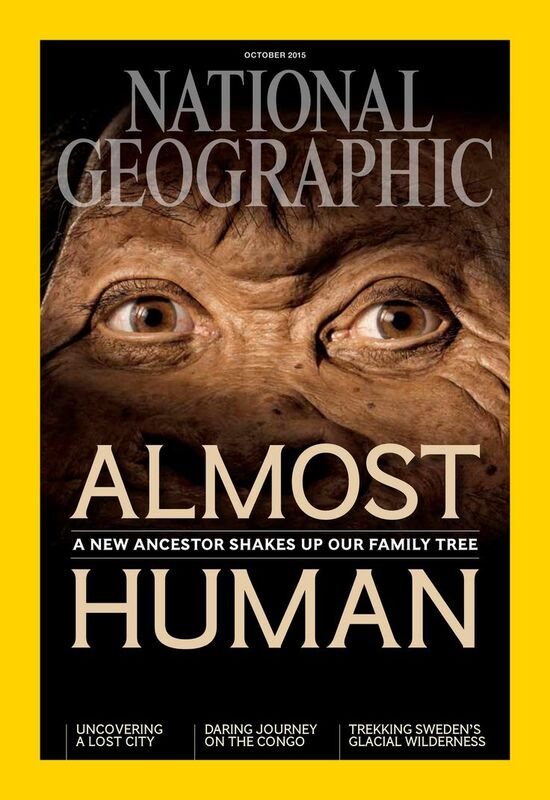 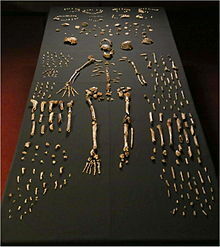 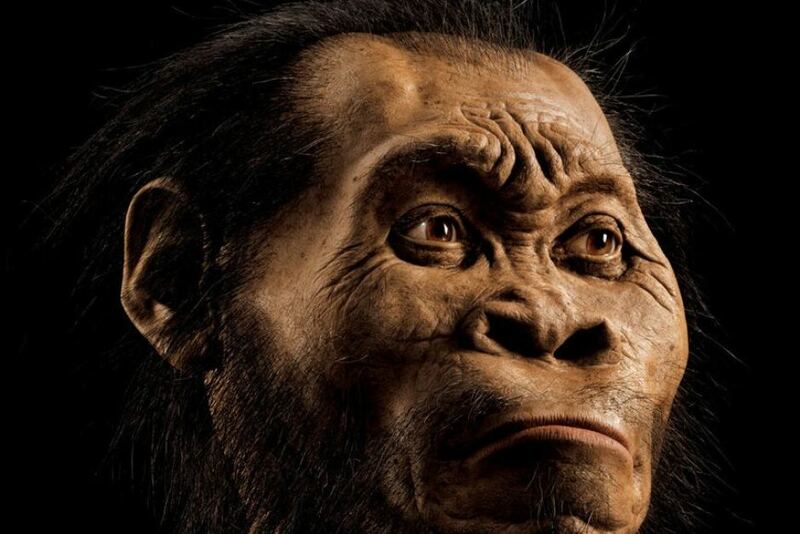 Photos: Meet Homo naledi. " 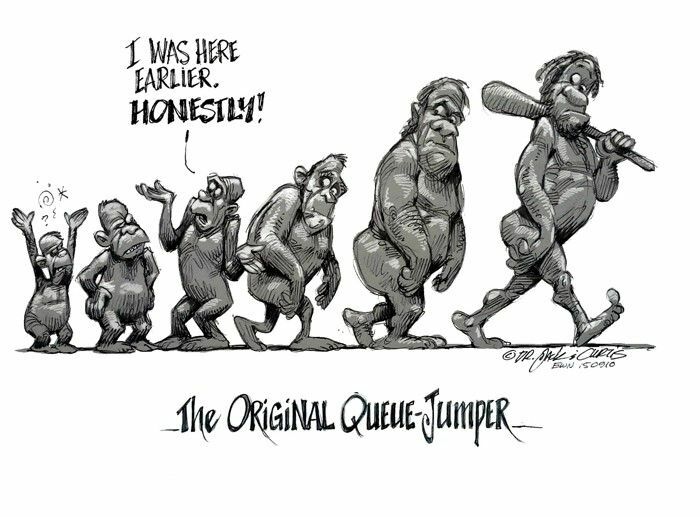 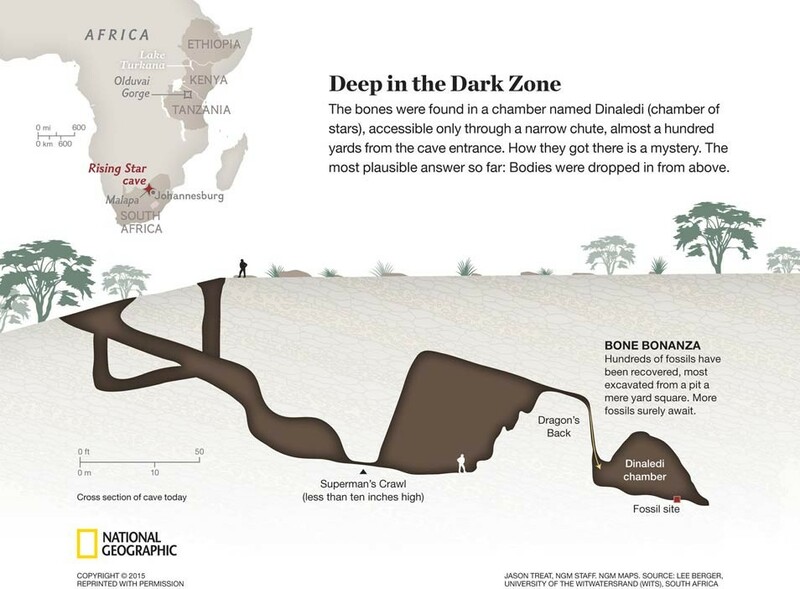 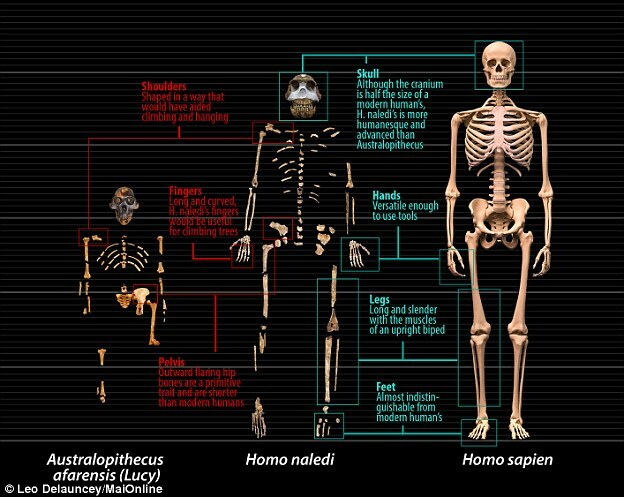 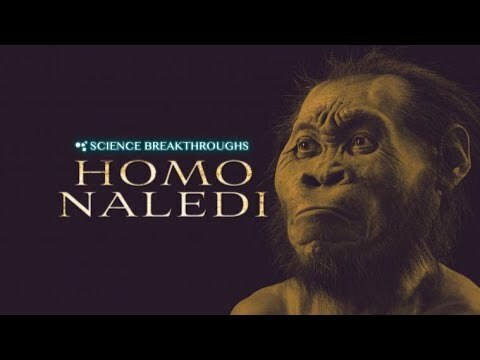 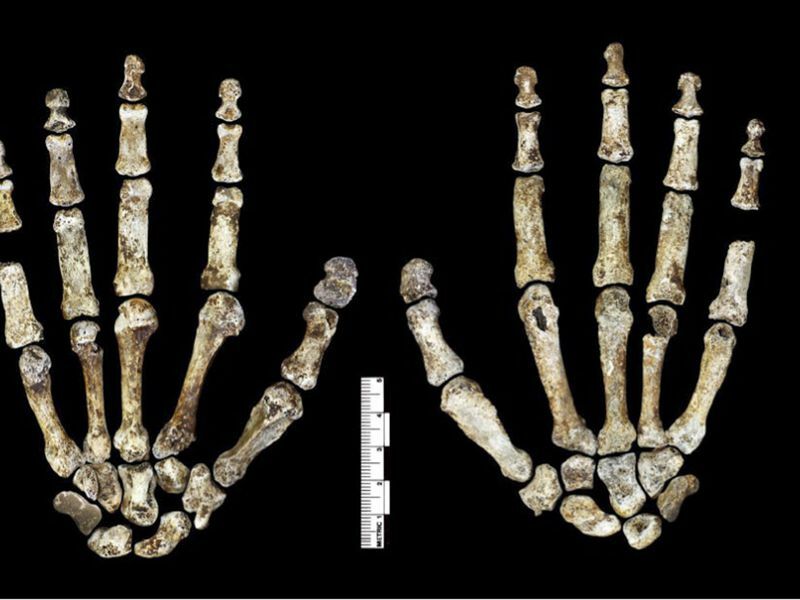 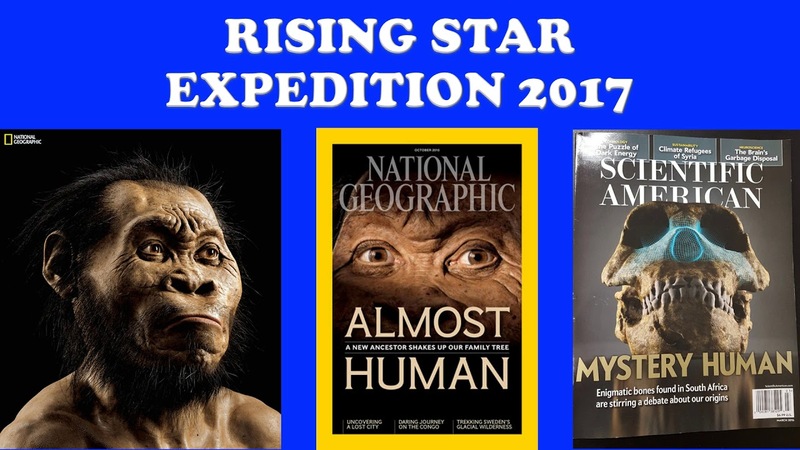 Is Homo naledi a New Species of Human Ancestor?